Yggdrasil’s January launch takes on an intergalactic theme, offering a series of out-of-this-world features that are sure to go down well with casino slot players. 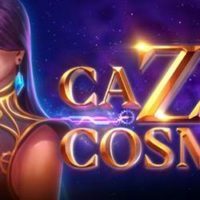 Set among the stars, and run by strict matriarch Stella, Cazino Cosmos attracts players from all over the universe who battle head-to-head for galaxy-sized wins. Complete with futuristic reels and filled with the weird and wonderful Cazino Cosmos clientele, players can access one of six different bonus games – one regular Free Spins mode or five Collectible Free Spins modes, each of them with a unique bonus feature. The Free Spins mode’s main features include sticky wilds, which means all wilds that hit the reels during Free Spins stay there until the end of the Free Spins round. Players can access the regular Free Spins Mode by hitting three to five scatters to get 10 to 20 Free Spins. Five Collectible Free Spins modes can be accessed by hitting special wilds in base play. Each reel has a separate counter, gathering five special wilds fills the collection and starts one of the Collectible Free Spins.